iWindsurf Community :: View topic - Sails: Floppy Leech Gone? Posted: Wed Apr 30, 2014 4:50 pm Post subject: Sails: Floppy Leech Gone? Last month in Maui I had a chance to hang around various manufacturers doing photo shoots for 2015. Are properly rigged wave sails now smooth up top? I sure saw a lot of them out at Hookipa. It makes sense. My pleated golf shorts look terribly déclassé now. I never liked sailing along with the leech flapping. Hey fxop. I think you're right. 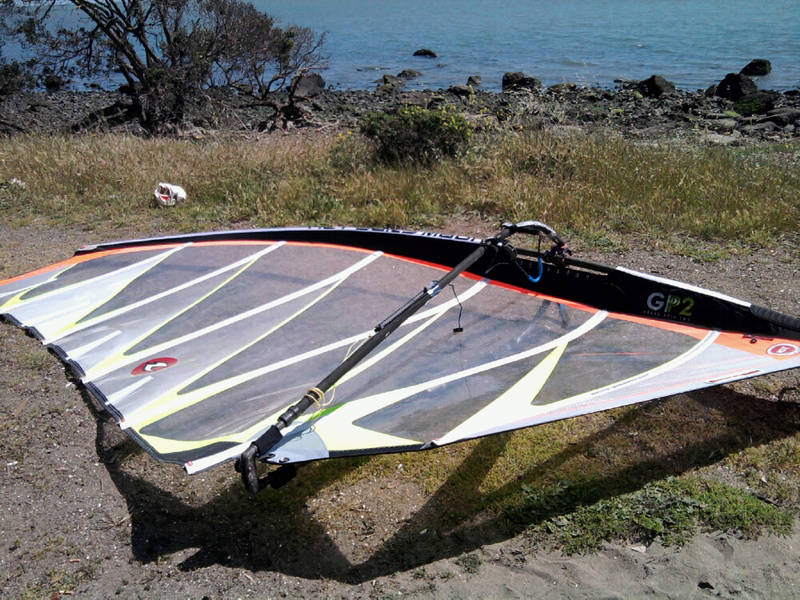 I've been sailing my new Naish Force 5.0 and the rigging instructions are to be followed. First rig the downhaul tension as prescribed on the sail then attach the boom and lastly out haul to prescribed boom length. No fussing around between out haul and down haul. Top of the sail is tighter than years before. Last session I used just an inch too much down haul to get the sail a bit more floppy and it did not feel good on the water. The Naish rigging instructions are right on. I assume other sail makers are similar. For wave and freestyle sailing, possibly YES. For Formula and Slalom action, NO CHANCE! Slalom sailors regularly hold 7.8's when freestylers are out on 4.5's. Formula sailors can go out on 9's, while the freestylers are on their 4.5's. Depends on how the sail is designed, what materials it's made of, the expected wind range, the mast used, the performance characteristics desired, among other factors. Design, design, design. Most people know that loose leeches on sails allow the sail to spill wind during gusts. They also keep the center of effort more stable--important for staying in a driving mode in varying winds. But not everyone knows that the twist in a sail reflects the changing apparent wind as you move up the sail and away from the water. These things matter more as you get a bigger (i.e. taller mast) sail, and as sail designs use more battens to stiffen the sail and stabilize the center of effort. Thus, Doman's comment is spot on, and it matters less and less in sails under 6 meters that are intended to be luffed. I guess what I was trying to describe is illustrated by dvCali's picture: yes the leech looks relaxed all the way to the boom, but the top 1/3 of the sail above the boom doesn't look any different from the rest of the sail. I'm used to seeing the top part of my wave sails look positively collapsed at the top after downhaul and before outhaul. On my older Ezzy's they even have a set of markings where the floppy part should extend to. On my Combats Kevin Ozy stood over me as I rigged, same thing. 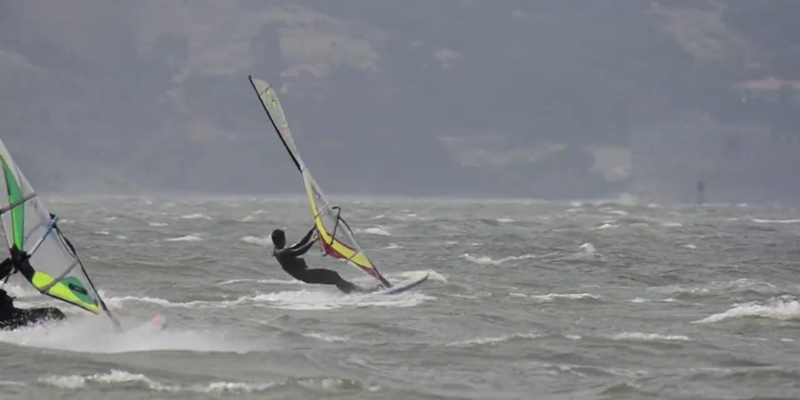 Ok, an ad just flashed by which shows it -- note the flappy top of sail on the Hucker. Has this changed in the last few years for wave sails or am I just seeing things on Maui which wouldn't be out of character. Why not just get some scissors and tin snips and just cut off all the loose flappy stuff? my freestyle sails rig with less pre-twist than my 5-batten wave sails. the 4-batten wave sails also rig w/ less pre-twist.